Before handling the hair, you have to start with a fresh hair, you can not clean your hair before handling hair, but be sure to comb all the tangles. To ensure that all hair is curled and does not look cluttered, start with the bottom of the hair and use a clip to clamp it. curled iron, the hair can touch the iron after curling. Note: the end of the hair is the oldest part of the most affected, so the end of contact with the iron time than the hair body to spend a short time. 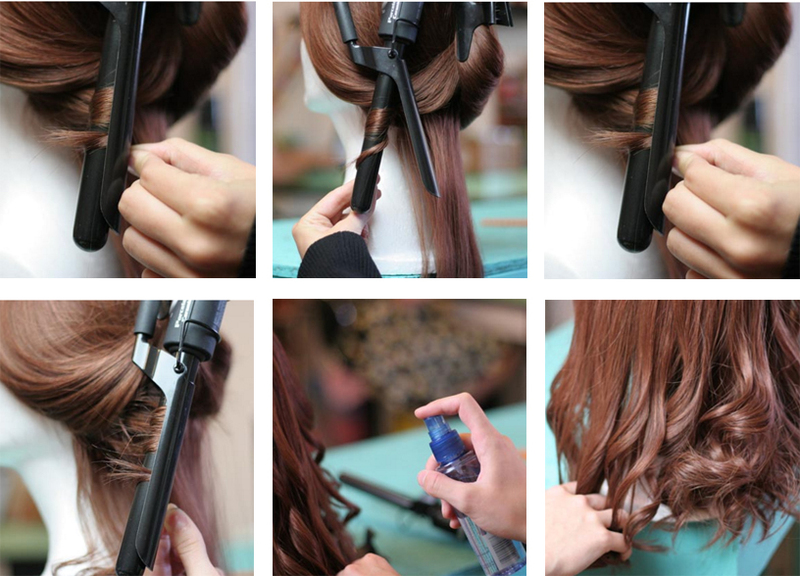 Repeat step 3, curling all hair, to ensure that each step curly hair reaches a certain degree of wave. avoid spray contact with the root, otherwise it will make the hair look very greasy. Once you get a loose curl, be sure to focus on both ends using a spray to help keep your loose curls all day long.